This is only a fairly short and very easy, but picturesque track provided as an alternative return to Eaglehawk Neck after visiting Port Arthur. The Coronation Pirates Link four wheel drive track is approx 13 km long track and will only take you app. 30 minutes to complete. The difficulty level of this track is easy; no permit is required but you must have a National Park Pass. There are campsites available at Fortescue Bay – fees apply and dogs are strictly prohibited. This is a very easy. no special equipment is required. However, we always recommend you are accompanied by another vehicle at least and carry recovery gear. 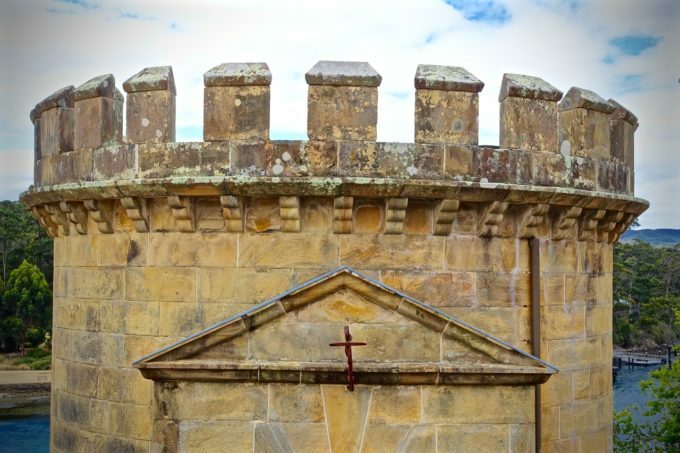 Port Arthur, on the Tasman Peninsula, is one of Tasmania’s most popular and most visited tourist attractions. If you are visiting Port Arthur, we recommend you take your time by staying in the region and visiting other major tourist attractions including the Blowhole, Tasman Arch, Devils Kitchen and Waterfall Bay at Eaglehawk Neck; all of which are easily accessible by regular 2WD vehicles. All of these areas are part of the Tasman National Park and park entry fees apply.